This 22 KT Evergreen Kundan Gold Necklace with a stone weight of 58.42 is beautifully embellished with kundan at every nook and corner. 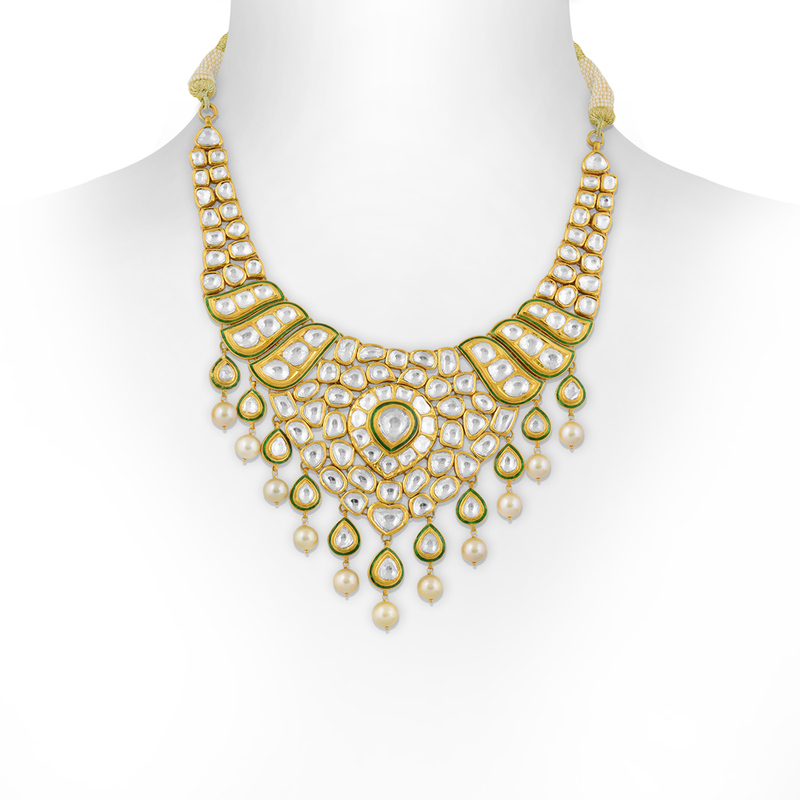 A layer of green silently steals into the design and adds to the evergreen quotient of the necklace. Keep your look fashionable at the next big wedding that comes your way. Wear this necklace and look fabulous.